Sunday 7th August, 2016 Calling all Brides-to-be! Free admission! 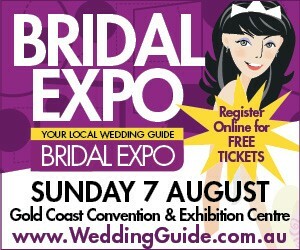 Come and visit me at my stand in the Gold Coast Convention Centre and book in your Wedding date and discuss your ideas for the design of your dream wedding cake! I’m looking forward to seeing you there!